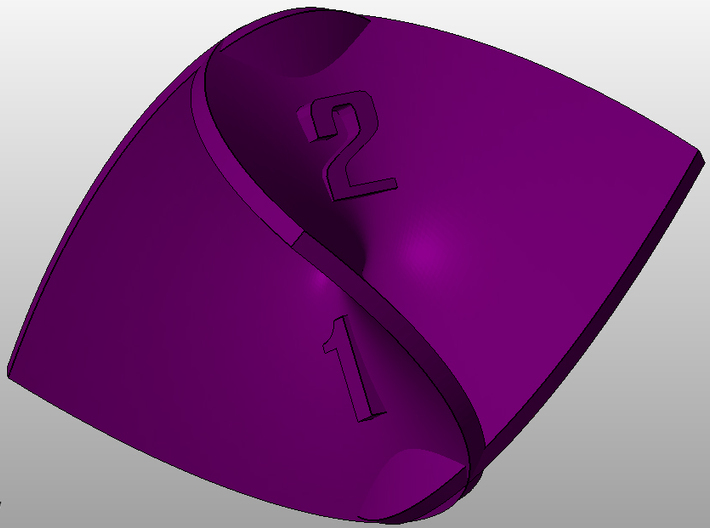 This d4 is modeled after an Enneper Minimal Surface. 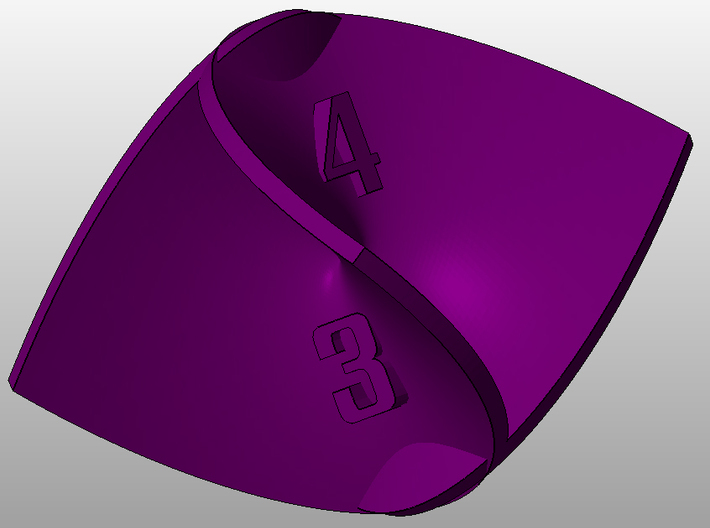 Because the numbers are so close to the center, this die will roll perfectly evenly, with no more variance than you would expect from a traditional d4 (and, very likely, less). 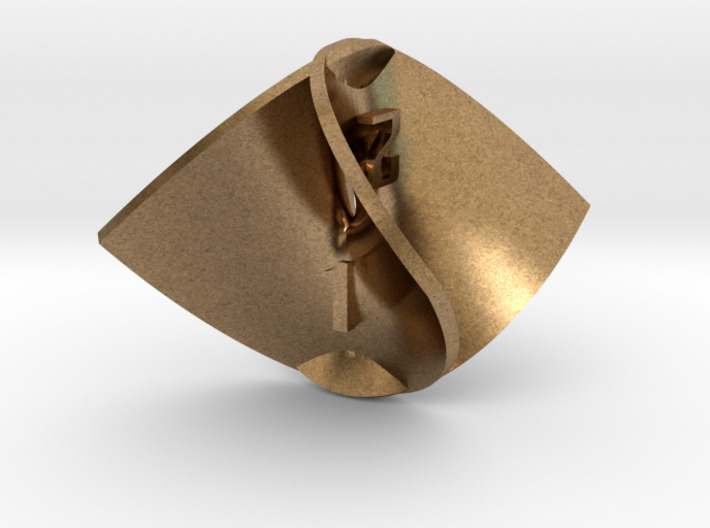 If you're into mathematics, or just like collecting cool new dice, this is for you! (This is Version 2: Two of the numbers were originally "upside down", for all intents and purposes. I have fixed that in this revision).